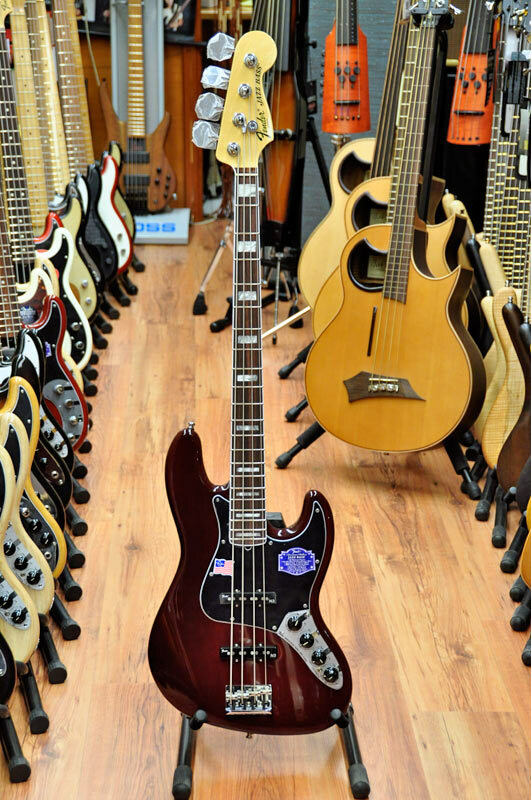 very nice Wine Red colour for Fender's best modern bass. It has the looks and dimensions of a classic Jazz Bass, and it also sounds traidtional in Passive mode. In active mode the new 3 band preamp adds punch and make it much more versatile. The new N3 pickups are noisefree.